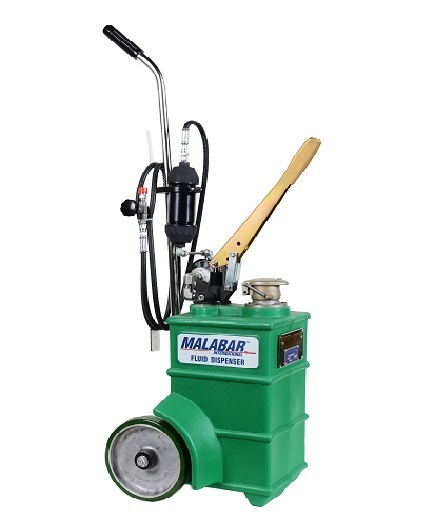 Aero Express is the only US Authorized Distributor for the Malabar Model 370 5 Gallon Hydraulic (MIL-PRF-5606) Dispenser. Durable, Lightweight and Portable 5 gallon capacity Reservoir made from specially formulated “HS” Cross-linked Polyethylene material that is impervious to petroleum based fluids, hydraulic fluids, UV, solvents an cleaning solutions. “HS” maintain a very high impact strength even at sub-zero temperatures and are available in several colorfast colors for easy identification of proper fluid type.